Another baecation is in the books for the blue-eyed boy and I. Skiing in West Virginia was Round 1 and This time around for Round 2? 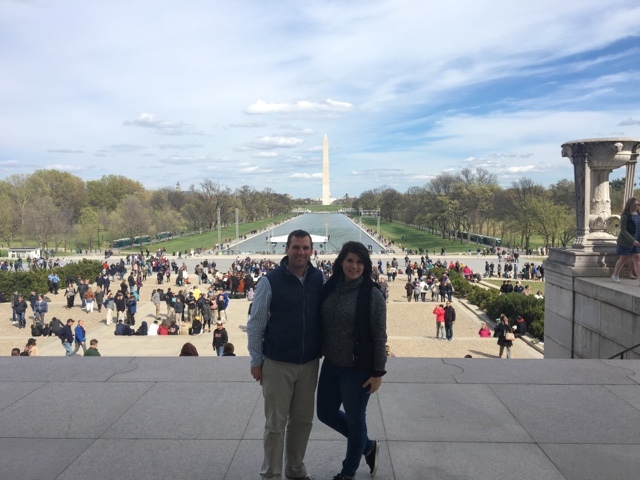 Gettysburg, Washington D.C and Baltimore. My Dad conveniently lives and works in the MD/DC area, so he was able to play hospitable host. 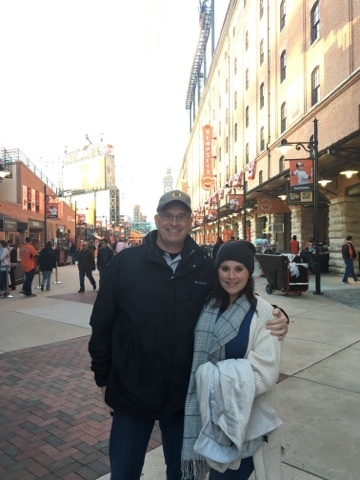 Having a free place to stay is obviously nice on the wallet, but being able to spend time with a Dad you only see a few times a year…well, you can’t really put a price on that. I’m a lucky girl. Our adventure started on Tuesday night when we flew in on a late-evening flight from NashVegas to Baltimore. Late arrival meant a rough, early morning wake-up call, but the weather on Wednesday was going to be lovely, albeit a little chilly, for a historical trip to Gettysburg. We were originally going on Thursday, but Mother Nature planned on making it a wet one… more on that later this post. 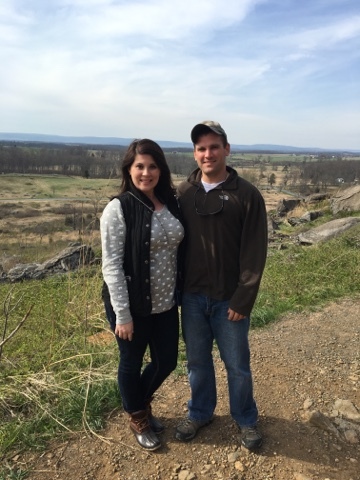 The boy booked us a two-hour guided tour of Gettysburg on horseback and it was a highlight of the trip. 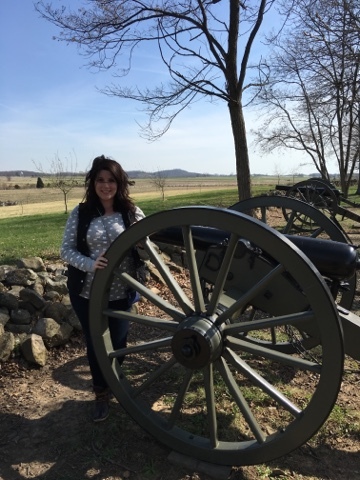 We’ve been gearing up for this particular historical haunt for a few months – watching movies, reading Civil War history books, etc. In fact, the day of our trip we stopped off at the library, and I checked out a quick read that I read out loud as we drove to Nashville. My boy is a bit of a book worm… and I love his bibliophile ways. 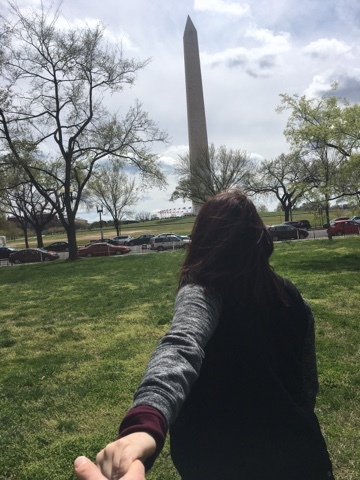 Friday we tried Washington D.C. again and were successful. Thank God. 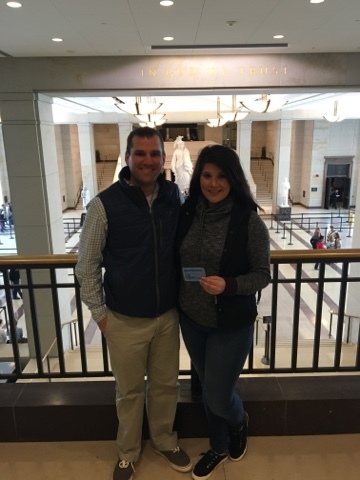 We met up with one of my boy’s old fraternity brothers (he’s press secretary for one of our state's US congressmen), who got us set up with a tour of the Capitol that morning and a tour at the Washington Monument that afternoon. We also saw the Congressional Chamber, where security is intense… they literally have you check everything: keys, cellphones, watches, bags, etc. 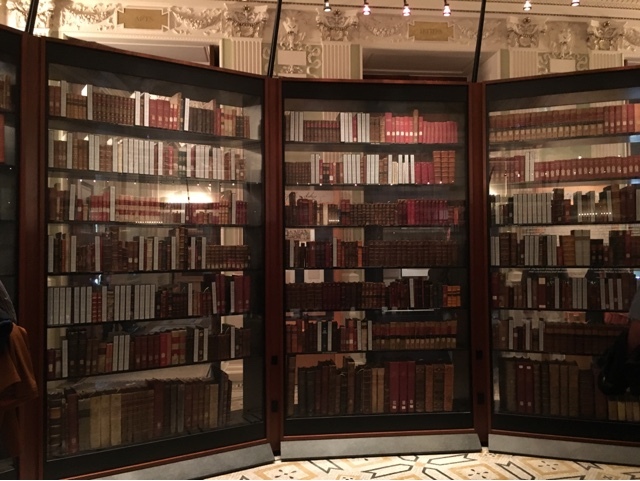 There’s a tunnel that connects the Capitol to the Library of Congress, so we took a sneak peek of Jefferson’s personal library and the Reading Room. After some touring, we worked up an appetite and I was dead set on going to former Top Chef contestant, Spike Mendehlsohn’s burger joint, Good Stuff Eatery… and let me tell you, it was some good effin’ stuff. He’s got a pizza joint next door, We The Pizza, so naturally we had to get a slice of pizza too. 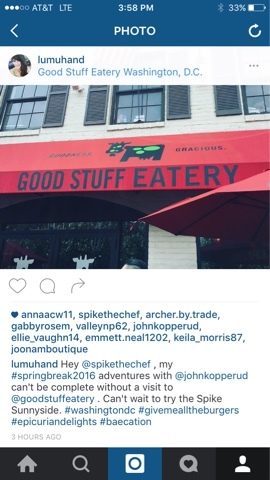 I also excitedly instagrammed the occasion, tagged Spike and HE LIKED MY PHOTO. Spike liked my photo. That's all. 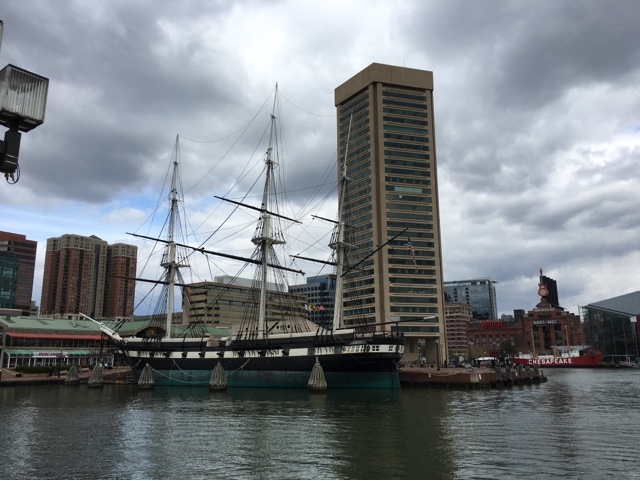 Saturday we headed to visit some family friends for lunch, before heading off to Baltimore’s Harbor pre-departure. 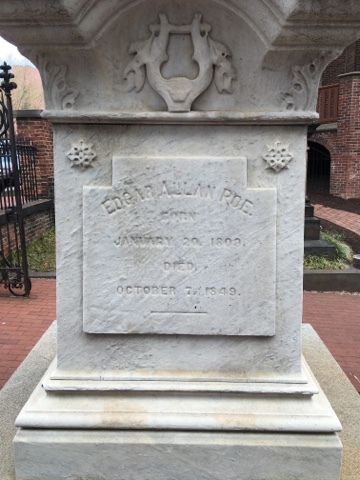 I wanted to see Edgar Allan Poe’s grave and wanted the boy to see the Harbor. Edgar Allan Poe's work lives on, but he is #NeverMore. I didn’t quite want the week to end. 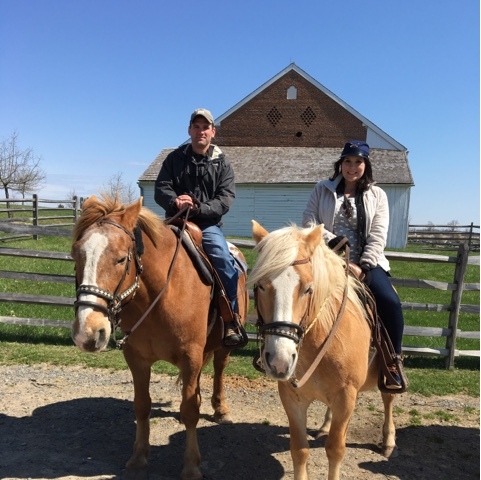 I feel like it flew by and it’s already been three weeks since we were horsing around at Gettysburg.. Oh, baecation why did you have to end? Already wanderlusting for another adventure.. So enjoyed these pictures and this read! Didn't know Poe's grave was in DC. I want to go to the museum in Richmond, VA! It didn't actually happen if I don't blog about it, right!? LOL. His grave is actually in Baltimore!